There are thousands of books about wine-I must have half of them-and if you were independently wealthy and had no kids to raise or football games to attend, my list would be a lot longer. But you do have those things on your plate, so start with this list and I will add to it over time! And email me if you think I’m wrong (or right) in my conclusions. 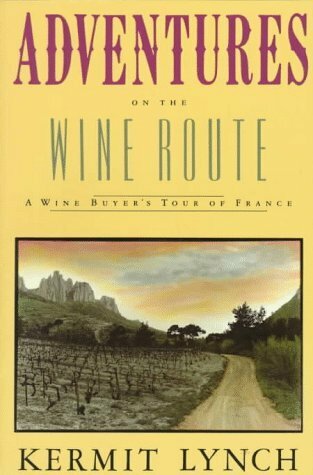 This is a great narrative, that true oenophiles (serious wine enthusiasts), plain old wine drinkers, travelers, and cultural historians will all enjoy. 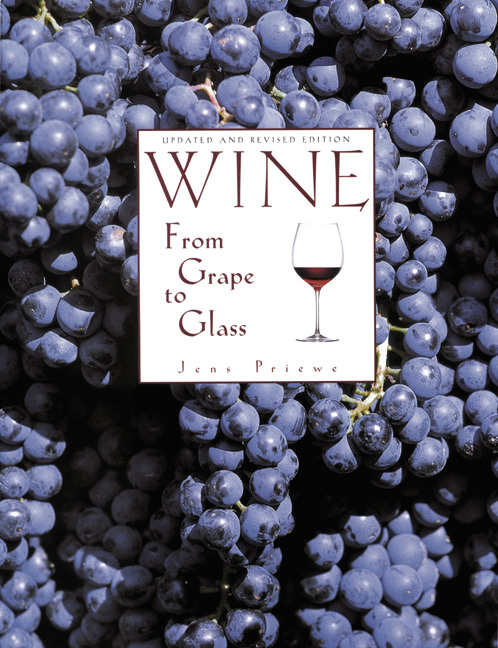 It’s filled with compelling personal stories, plenty of details of the challenges and politics of the winemaking business, and a good sense of the times in which American wine pioneers labored. And make no mistake, they labored. Read this before your first visit to Napa, or any wine region, really, and your experience will be all the more wonderful. 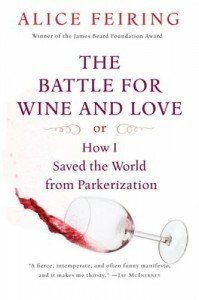 If you have time to read only one book about the art and science of wine tasting and appreciation, this is it. This is an easy, enjoyable read and after you finish it you’ll know more about wine appreciation than 99.9% of wine drinkers. And if you pay a little bit of attention while you read, you’ll be able to describe in some detail what you are tasting, and why it’s better or worse – or at least more enjoyable – than another wine. Some might think this a coffee-table book…and it is. But it’s loaded with solid information, in lay terms, about the world of wine – winemaking, wine grape varieties, wine regions, and the storing, enjoying and serving of wine. 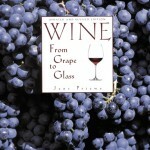 There are many other books that offer the same approach, such as the Windows on the World Complete Wine Course (Zraly) and The World Atlas of Wine (Robinson and Johnson). Of these two, I would heartily recommend the Zraly book for people who are new to wine and it’s a really good introduction, with just enough detail. Ok, so the guy (Parker, that is) is more full of himself than Geraldo Rivera, if that’s possible. And I’m not sure how good his palate really is, although I know how good he thinks it is. But there’s no doubt that Parker has more influence on wine consumers than any other individual on the planet. Yes, the planet. So for those of you interested in the influence of wine evaluation more than its mechanics, this is worth a look. You can also get a good sense of what the 100 point wine rating scale means and how it is arrived at. And you’ll learn some interesting details about the Judgment of Paris wine tasting in 1976 that changed how the world views American – and especially California – wines. 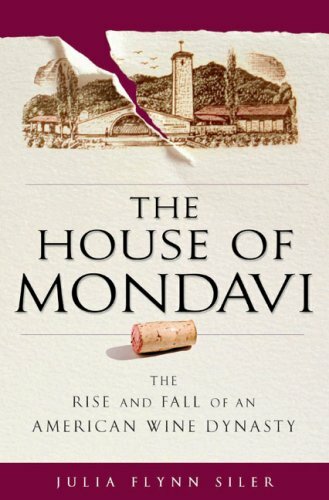 Bob Mondavi died in May 2008, but left as his legacy a remarkably influential and successful American Wine Industry that he helped shape more than any other individual. His story, told very well here in both its tragic and triumphal aspects, was that of a simple man who was also a dictator, yet generous to a fault. His quest for perfection and unswerving belief that his own judgement was infallible ultimately led to the loss of the wine empire that still bears his name. 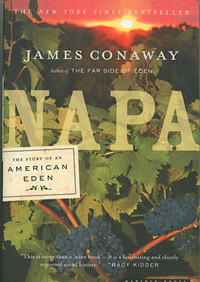 Tracing the family back to his father Cesare’s journey to the US in 1906, this is as much a family narrative as it is the story of the transformation of Napa Valley into one of the world’s great wine regions. Along the way, the players and sub-plots are interesting and compelling, and would make the characters in the 1980s soap opera Falcon Crest blush like a white Zin. Take a sip. 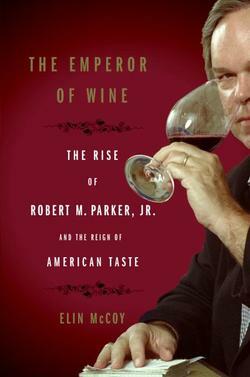 I write about Robert Parker pretty often. He’s a force in the wine industry, to be sure, and called the single most influential wine writer alive. But I think of him more as a wine “rater” than a writer, mainly because I just don’t buy the notion that you can reduce the quality and pleasure of any particular wine to a specific number with mathematical certainty. For that reason, I was eager to get my copy of Alice Fiering’s recent (2008) book and plunge into it. I gotta tell you, I had a little bit of trouble with the premise to begin with. The truth is that I don’t think Alice has saved the world from Parkerization, and her title, like a lot of the book, is too clever by half. 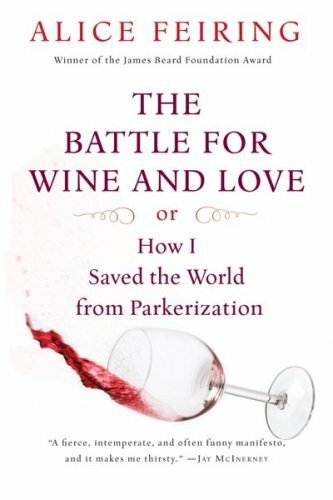 In fact, throughout the book, she laments the fact that winemakers around the world hold their noses to Robert Parker’s grindstone, praying that the Emperor of wine will grant them a 92 or above, pretty much assuring their commercial success. To get his attention as well as those ratings, says Fiering, these vignerons use technology to excess, grossly over-oak, focus absurdly on color, and just generally make a mockery of the “natural” winemaking practices used by their grandfathers. In the bargain, she says, many if not most wines have lost their nuance and finesse and amount to little more than syrupy-sweet plonk, one wine indistinguishable from another. She clearly believes this and makes her case over a couple hundred pages…fair enough. But I suppose in an effort to make her book charming and “full-bodied,” Fiering insists on telling us intimate personal details along the way, especially around her love life and the many men who find their way into and out of her journey along the wine trail from New York to wherever. Worse still, she gives them each a pet name (“Owl Man”) as she does a half-dozen female friends who often accompany her to this symposium or that wine region. Such stuff weighs down the book in much the same way Ms. Fiering says “modern” winemakers weigh down their juice with alcohol, tannin, oak and sweetness. Still, big parts of the book are a lot of fun – they read like a travel log-rich and interesting back stories about why wines are made the way they are, and what those winemakers are thinking. There are some insights here, and it’s an easy-reading page turner. There’s a little discussion about organic and biodynamic winemaking, but it’s hard to tell whether she’s applauding or making fun of the grape farmer who harvests according to phases of the moon and plants a ram’s horn filled with cow dung in a corner of his vineyard. When all is said and done, my real disappointment is this: she describes having had the opportunity on several occasions to tell Parker what she really thinks: that he’s done huge damage by promoting wines that appeal solely to his very particular palate. But each time she approaches the line, Ms. Fiering backs off under one pretext or another — clearly not wanting to hurt the great man’s feelings, or provoke him to walk away from the interview. If this is saving us, we are screwed. By contrast, this one is pure pleasure: personal but not uncomfortably intimate, written with equal or even greater conviction but with no sign of a chip on his shoulder by Kermit Lynch, a pioneering wine importer who just happens to have a gift for the narrative. Like Fiering, Lynch is passionate about artisanal wines, but he makes his case more by talking about who is making them rather than who’s not. And his view that “Wine is, above all, pleasure. Those who would make it ponderous make it dull” courses through his chapters and paragraphs, which are by turns funny, absurd, colorful, quirky, and sometimes all at once. I think he’s equally unhappy about the ascendance of ratings as the gold standard for wine consumers, oddly enough given that he’s an importer and a commercially successful one at that. As you might expect, he trumpets as authentic a great many wines on which his own fortunes turn, and in this sense he’s certainly not a disinterested critic like Alice Fiering. Nonetheless, if you really want to get a feel for old world winemaking I would run out and buy this book. You can read a lot about Bordeaux and Burgundy elsewhere, but you won’t often find these kinds of stories about winemaking and wine styles of the Loire Valley, the Languedoc, Provence, Chablis, or Beaujolais for that matter. 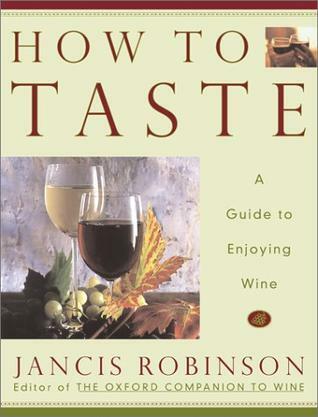 And if you really like the culture of wine and not just the taste of it (or the buzz you get from it) this book will enrich both your mind and your spirit.